Goa is the paradise for most of the travelers in India and many who visit the country from abroad. It is a common place for merrymaking, fun and relaxation both for Indians and foreigners. Read on to know more about this ultimate holiday destination. As a traveler, most of you ponder upon the idea of spending a nice vacation at some picturesque place where not only you can unwind yourself from the humdrums of life, but also collect some memories to remember forever. Perhaps a romantic destination in some cosy setting in some remote place or a hilly area would be a perfect destination in this context. But what if you want a long vacation with a completely laid back lifestyle for a while? Goa is your answer in that regard. Hotels in Goa remain full and the beaches are thronged by thousands of tourists every year, whether it is the peak season or the off season. This is indication enough for how high the place stands in the ranks of an ideal tourist getaway. Goa is totally an enchanting place and although it is not a remote island in any way, once you reach here, the diversity and vividness of the cultures and people around here would make you feel that somehow you have arrived at a far off place which is certainly not India, and more of a place that has a collective Indian diaspora. Goa has a refreshing quotient that is placed so up in the diaries of the travelers and the vibrant yet relaxed way of life here is nothing short of an envy for others, especially for those who live in the big cities. Goa can be itself summed into two parts — North Goa and South Goa. North Goa is the fun zone for those who come to this paradise town for sheer enjoyment, parties, dance, and festivities. 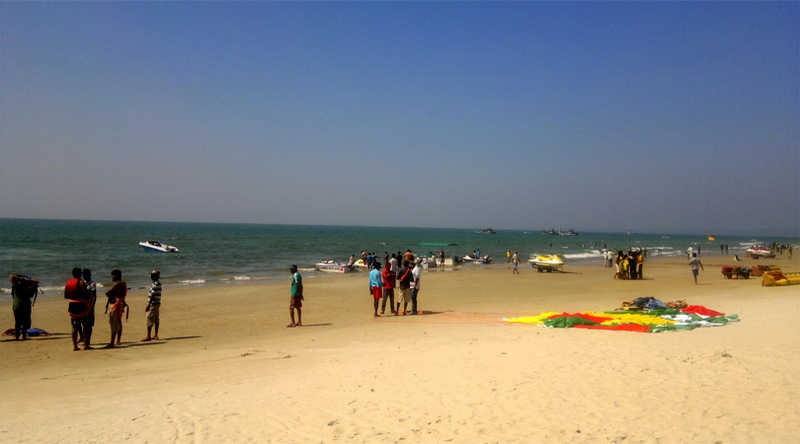 Many of the beaches in North Goa are renowned for their frolic and fun. The Sunburn festival is also held in North Goa on the Vagator Beach. For those who swear by music, Sunburn festival, which starts in October-November, is the ultimate event in India. Similarly, Anjuna, Arambol, Mandrem, Morjim, Candolim, etc. are popular North Goa beaches here which you would never get bored of. 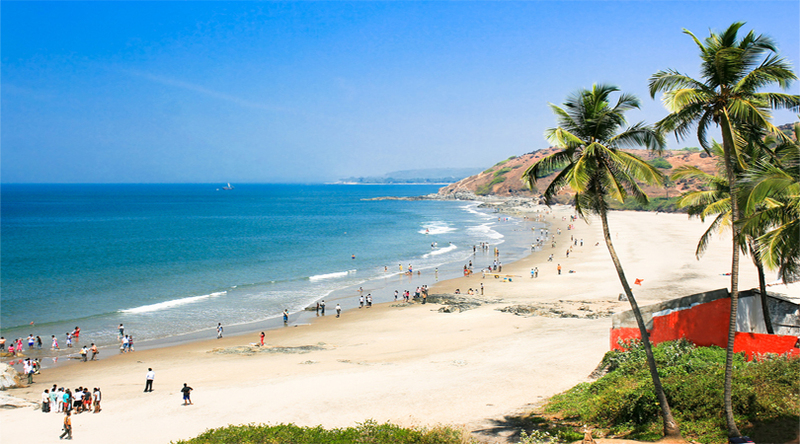 South Goa beaches are relatively less crowded and hence quiter. South Goan beaches are mostly frequented by those who are looking for a whiff of fresh air in some perfect privacy. Especially when you are on a solo trip, South Goa is the best place in the state. Palolem, Agonda, Colva, Benaulim, etc. are some of the famous beaches in this southern part. Stated this, keep no qualms that either part of Goa is any less scenic than the other. Goa in itself is a state of stunning beauty — swaying palms, sparkling water, and white sands are its true marvels sculpted by nature itself and its appeal is completely mesmerising. Here is the secret mantra: if you want to indulge yourself here in a typical Goan way, book your stay in one of the modest and cheap hotels in Goa and spend a long vacation, a fortnight or at least a week and you would experience an Goa that would reveal itself in the most classic way through its good vibes.